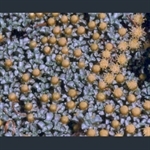 Rounded somewhat lax shrub with clusters of pale yellow flowers. 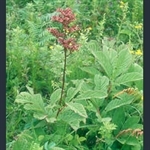 Chocolate-bronze leaves, becoming dark green, and a froth of pink flowers. 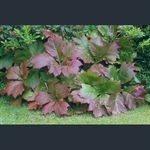 Bold, pinnate coppery leaves and elegant spikes of soft pink to creamy flowers. 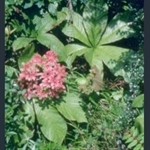 Bristly, pinnate leaves and a froth of pink or white flowers. 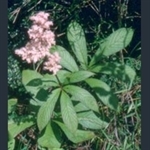 Woodland plant with bristly pinnate leaves and a froth of pink or white flowers. Large leaves, bronze in spring, dark green in summer, red in autumn. Excellent form of 'black-eyed Susan'; large yellow daisies with black centres.